It's been a while! I've been trying to squeeze so much into my schedule, somehow blogging hasn't happened. Despite that nothing exciting has been happening lately. No natural disaters to depict, no hilarious stories to construe and no passionate romances to frighten my parents with. Instead I will take you on a tour of my recent art work. This is a painting of "balloon flowers". I was messing around with a combination of black pen and watercolours. This is a rabbit. I hope you all were able to figure that out without my helpful hint. 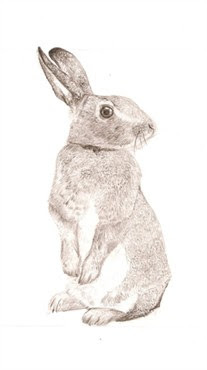 I have eloquently dubbed this drawing "Rabbit". And it's just plain old pencil. Next we have an example of an artsy phase I like to call "watercolors". It's interesting how you can see how the artist (me) is expressing her feelings and emotions on the paper. 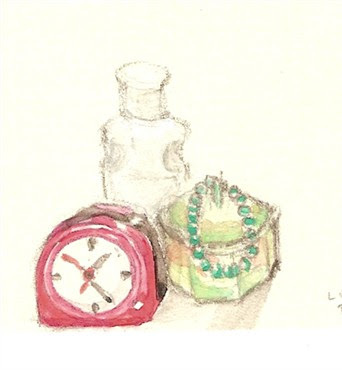 As you can see in this painting, I was feeling very strongly towards alarmclocks that day. Well that's all for now! I hope to post more work soon. My tutor kindly allowed me to use his scanner this week. Thanks for reading! P.S I like getting comments...hint hint. Hey! Man those pictures are awesome! *sigh* i wish i could draw/paint/doodle like that! But.... I cant. Oh Well..... =D Ttyl! That's totally WICKED! Way to go with the alarm clock especially. I feel that it has feelings... for me. Draw a goat that looks like hugh. wow nice!! I really like the combination of black marker and watercolors. I've been trying to figure out how to do that for a while...what pen do you use so that the water doesn't dissolve it or anything? nice work. 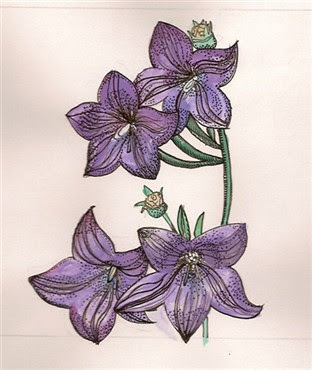 Hey, I really liked the painting/ drawing of the Balloon flowers. The combination of the pen and water colors was cool. I have known you were good artist but these pieces were beyond what i imagined. Well, I can't wait till you put more up. I saw all of these awesome comments and thought I should comment too! Your artwork is AMAZING! I love looking at it. When I first saw the flowers, I thought you got that picture off the internet! You are so talented! Awesome picks!! 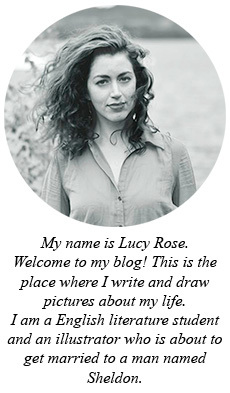 You are great artist, Lucy! I especially like the "bubble flowers" in water color and ink. High five!